ReVive ME marketing consultancy enhances marketing capabilities, to increase your competitive edge. Based in Taranaki, New Zealand, our focus is to support enterprising and innovative businesses with their pursuit for market growth, through an integrated and market driving approach. which consider balanced earnings, innovative and valuable services to society and our environment. 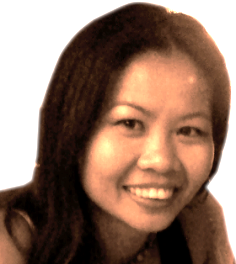 Rosalina is a marketing professional with over 18 years experience working with innovative and international brands in Singapore and New Zealand. Working with innovative and international brands in Singapore and New Zealand, and works with some of Taranaki’s top exporters. She has found her niche in helping organisations and individuals create, communicate and demonstrate their true value to desired markets. A resident of Taranaki, New Zealand, since 2008, she founded Revive Me Ltd in 2012 as a full-service digital marketing consultancy specialising in Web, Mobile and Social Media Marketing solutions to support businesses in New Zealand seeking growth in domestic and global markets. In the last year, she worked with Venture Taranaki to develop three programs that is approved for training and capability co-funding for New Zealand based businesses looking to grow their Market Development Strategy and Digital marketing capacity. Rosalina has successfully planned and implemented marketing initiatives, sales promotions and incentive programs for multiple industry segments, from manufacturing to software application to international distribution and reselling. Her business acumen is backed by a strong focus on reducing marketing risk with qualitative research and validation when developing brand messages. Her entrepreneurial journey started when she established her first boutique marketing agency (i-Image Conceptualist) in Singapore in 2004, supporting SMEs and larger international corporations with new product and market development plans, marketing campaigns and events planning activities. A natural catalyst, she uncovers core aptitudes to guide and empower people to pursue their dreams and goals. Digital web marketing and brand development with integrated Web, SEO, Mobile and Social Media support. Adept in finding opportunities to engage and persuade markets using multiple media channels. Well-resourced with marketing networks and working associates for creative design and development. Successful delivery of web and mobile marketing campaigns to grow engagement and sales for her clients. In her leisure, she’s living the kiwi dream of outdoor adventures and experiences. Rosalina also instructs belly dance classes and directs a performing dance group, 5th Element Dance. William has nine years media experience as a reporter and editor (Feb 2003 – Mar 2012) in Guangzhou, China. During his media career, he worked with editorial and advertising sales to help advertisers gain public awareness and interest. William came to New Zealand to complete Graduate Diploma in Marketing (with Unitec Institute NZ), with Digital media as one of his core curriculum. He supports our clients with Chinese media marketing, market research, public relation plan, events coordination. Chinese language translations. Well-verse in use of Chinese social media such as WeiBo to promote brands and interacted with readers. Increasing engagement and like through social media marketing. Preparing editorial plan.